The Monte Carlo Rally was first run in 1911 and started from eleven locations across Europe to converge in Monaco. It has become an iconic event, known to many, but especially for motor sport emthusiasts everywhere. 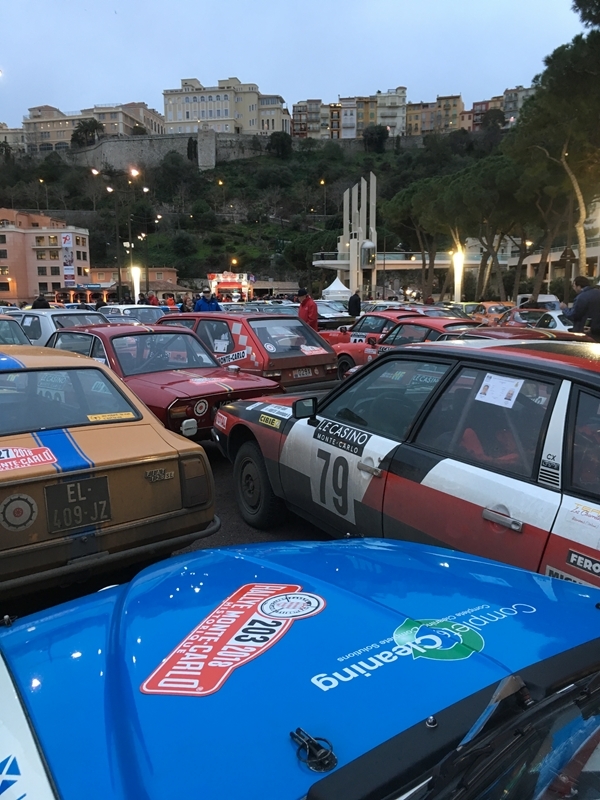 The Rallye Monte Carlo Historique recreates the original format, and Complete Cleaning's Donald Carslaw entered the 2018 edition from the UK start in Paisley, guided by navigator, John Duke. His 1971 Saab 96 V4 has competition history, but had not been used for about ten years. Weeks of preparation preceded the gruelling rally of over 2000 kilometres and 300 competing cars, with sections running through the night, and difficult wintry conditions on tight alpine roads. After being flagged off the start ramp, and only a few miles down the M77 in driving snow, it became apparent there was a problem with the engine that was to blight the rest of the rally. Running on only three cylinders, and using a lot of oil, frequent stops all the way to the Channel were necessary. Friends and strangers were on hand with offers of assistance, but the worry of imminent engine failure was always present. 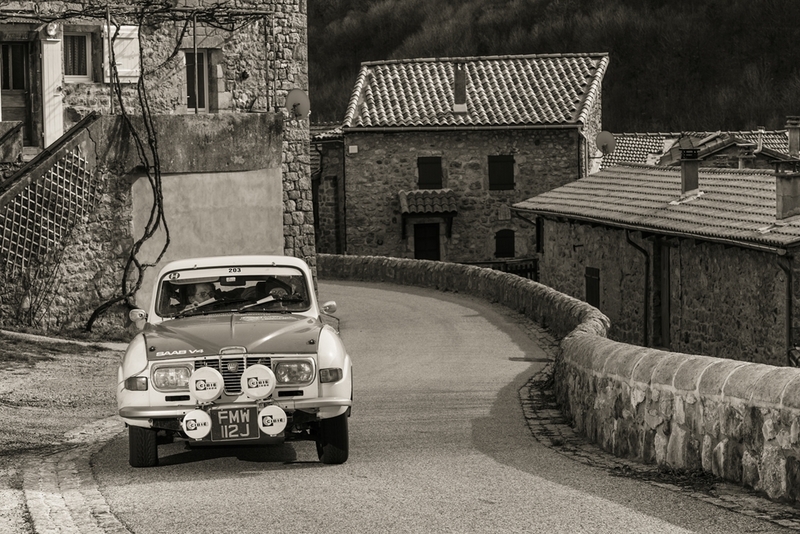 The Saab continued it's journey south through rural France via Time Controls along the route at Town Halls, where the locals were out in force to watch the spectacle and cheer on the drivers. The competitive stages started just south of Grenoble, and then continued over several days in the mountains around Valence, before eventually leading to Monte Carlo. Donald was still in the rally, but with a sick car, they had to miss out some of the stages to stay on time, to get to Monaco, and to finish. Stopping every hundred miles or so to fill up with oil and change spark plugs, they made it to Monaco, but were not finished yet. After a few hours rest, the final stage was the famous Col de Turini, in the dark, in the mountains high above Monte Carlo - a must-do! But, with only a few kilometres of the fifty kilometre stage to go, disaster struck. An over exuberant driver got caught out on a hairpin bend, the car being saved from going over the edge by a barrier, but terminally damaging the steering and suspension in the collision. A cruel blow considering the car was still running, after being nursed along for over two thousand hard kilometres. And the end of quite an adventure. Complete Cleaning has had a long involvement with motorsport through it’s founder and CEO who competed throughout the 80s and 90s. 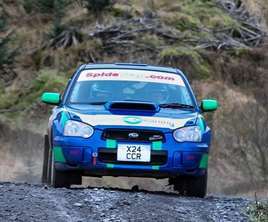 The Company now actively encourages and helps youngsters to get involved and runs a Subaru rally car for Caroline Carslaw, Scottish Ladies Rally Champion 2013, 2014 & 2016. 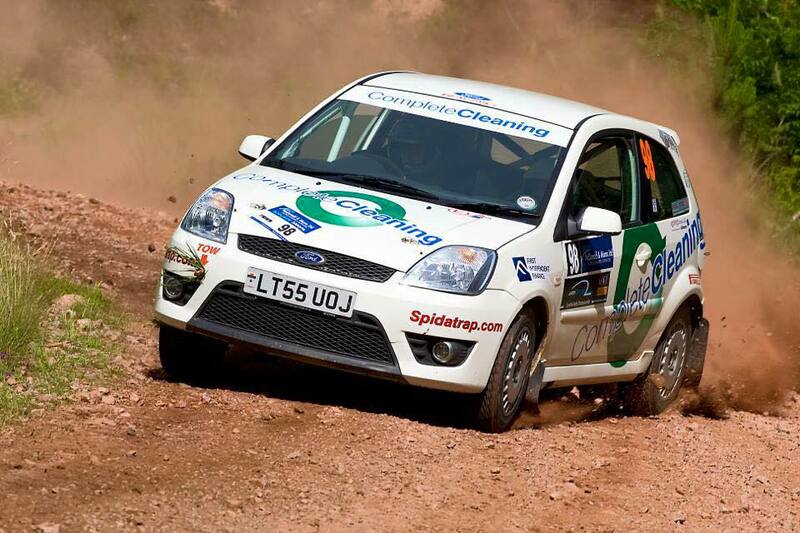 Our car can be seen on all rounds of the Scottish Rally Championship and selected British Championship events. Find out more on Caroline's website and Facebook page. The new for 2017 Subaru, and Caroline with the current (& 7 times) USA Rally Champion, David Higgins, also a Subaru driver. On the right, the previously campaigned Fiesta. 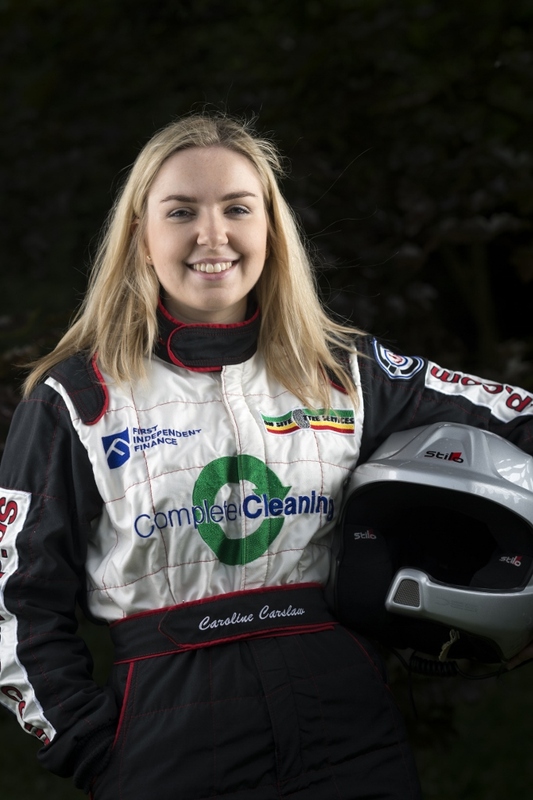 Following an accident on The Speyside Stages in April 2017, Caroline’s campaign on The Scottish Championship was curtailed as she sustained a broken wrist in the incident. After several weeks in plaster and a few more in a wrist brace she’s hoping to get back behind the wheel before the end of the season. In the meantime we have secured the services of former Vauxhall and Audi factory driver Andrew Wood to fly the Complete Cleaning flag on the McRae Gravel Challenge on the 23rd September. This event is to commemorate the late former World Champion Colin McRae who died tragically 10 years ago in a helicopter accident. 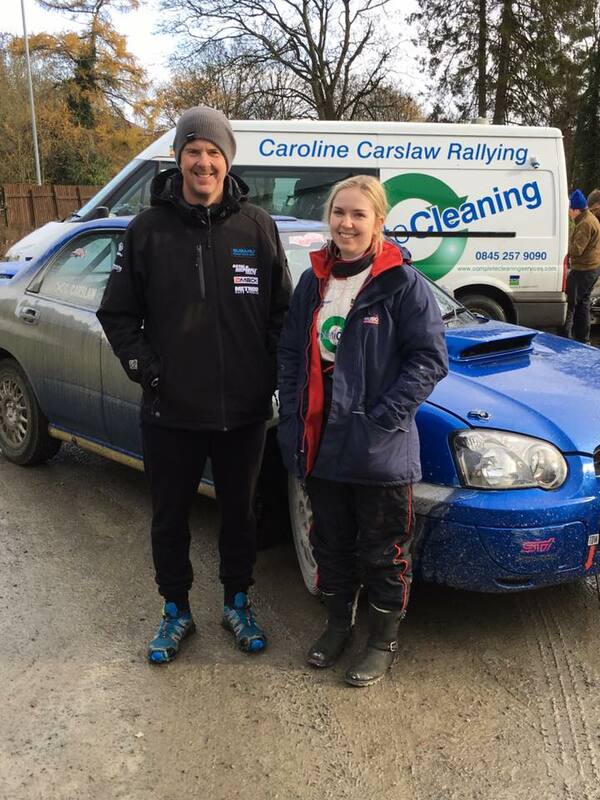 Andrew was one of Britain’s top professional rally drivers in the past and will be putting the Complete Cleaning Subaru through its paces navigated by Caroline through 30 miles of forestry tracks in Perthshire. This will be quite a spectacle and well worthwhile coming along to see. 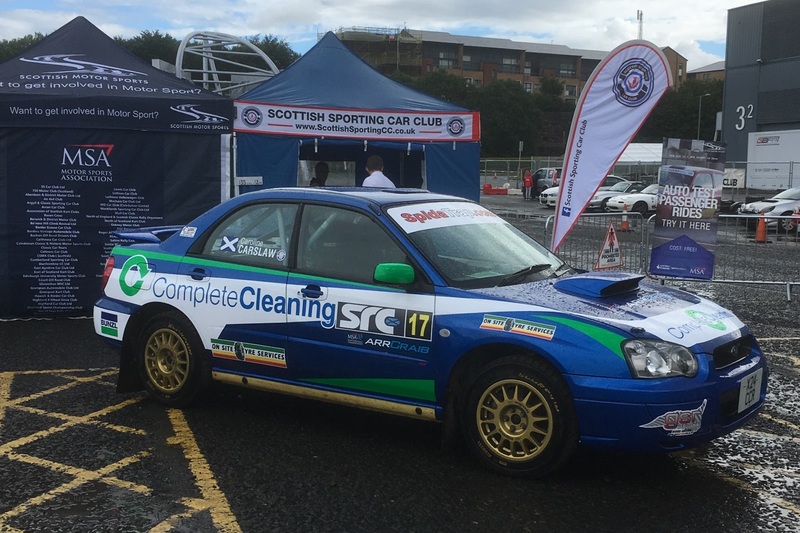 The Complete Cleaning Subaru was on full display at the recent Ignition Festival at the SEC Glasgow. The event featured 5 former rally World Champions - Ari Vatanen, Stig Blomqvist, Timo Salonen, Marku Alen and Miki Biasion, alongside Scotland’s very own 5 times British Champion Jimmy McRae. 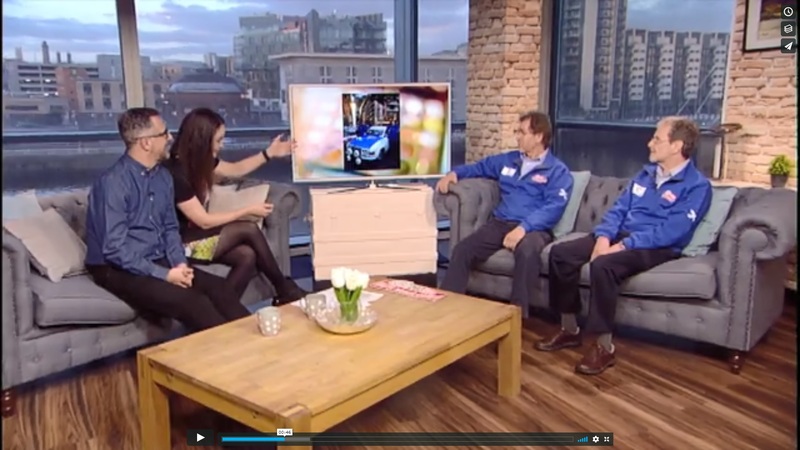 Our car was featured on the Scottish Motor Sports stand and Caroline was on hand to talk to the enthusiastic crowd about the car and her career. A great weekend interspersed with a few downpours that didn’t keep the crowds away. 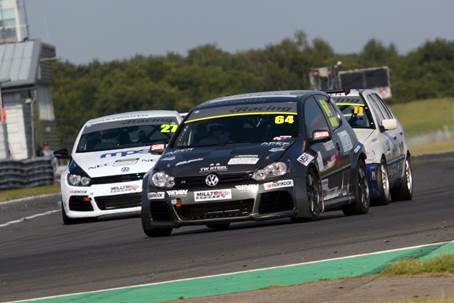 For 2017 in track racing we are giving support to Christie Doran driving a VW Golf in the VAG Trophy series. Christie is a young track racer from Falkirk. Despite have done no karting, she came second in her first Scottish series (the Scottish Classics) and fourth in her first UK series. 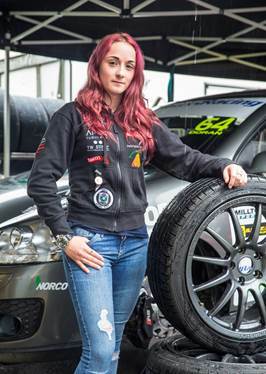 She was third in the VAG Trophy Class B championship last year - with three wins and twelve podiums - and is determined to get more success in the VAG Trophy in 2017. She said: "It is a very tough series, with top drivers, many of whom are working their way into touring cars or endurance racing. My progress with Slidesports Race Engineering has been good but there is so much more we can achieve. It is great that Complete Cleaning Services has spotted what I have been doing and believe in me enough to support me. They will have rally success with Caroline Carslaw. I hope I can add more girl power - this time on track." Follow Christie's progress on Facebook. 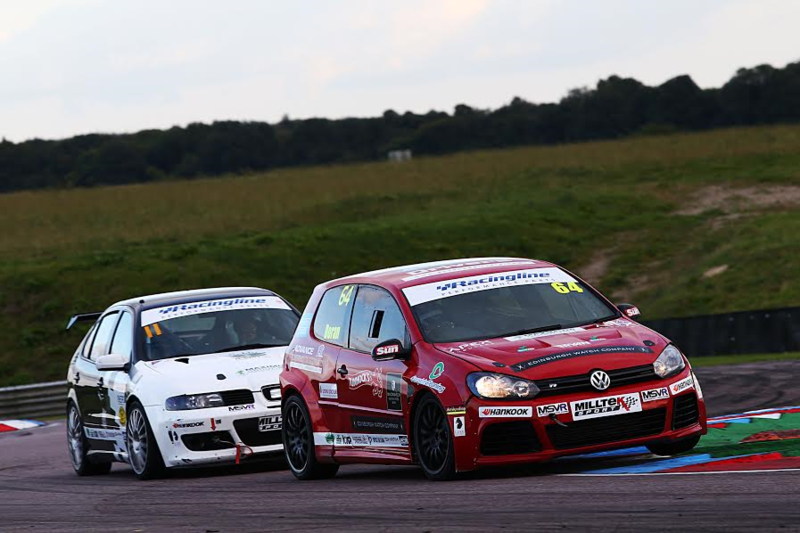 RACE ace Christie Doran has vowed to end her season on a high after a dramatic double podium on her debut at Thruxton. The Complete Cleaning Scotland driver, from Falkirk, has proved to be a fast-track demon in the past and proved the point by producing two powerful drives to take two second places in the VAG Trophy B Class at the Hampshire circuit. She then repeated the result after an epic battle with Barrie Culley. She said: “I had to fight really hard but it was really good fun. It was a good weekend - solid points rewarding a good team performance." Looking back on previous successful campaigns which included extensive press and media coverage.